Skutis Tours Bali offers a variety of skutis trips through Bali as the Island of Gods. 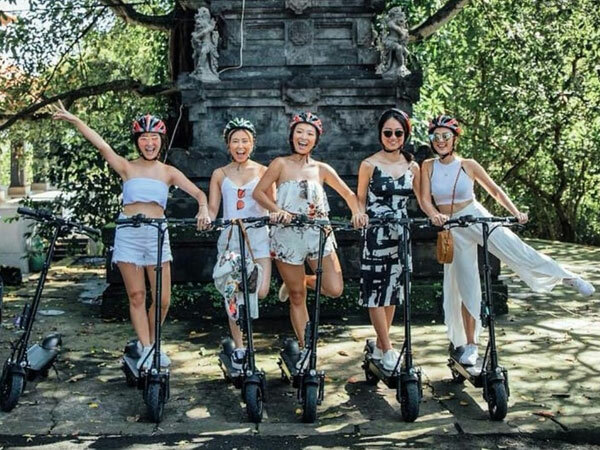 The primary aspect of our Bali tours is to have fun while experiencing riding our fume and noiseless skutis. Bali E-Scooter tours under the new brand Skutis Tours Bali that organizing sightseeing tours with electric kick-scooters (skutis) since December 2017. 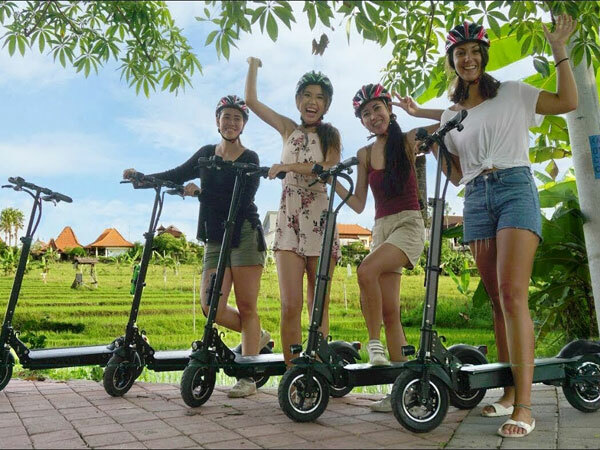 Explore Bali in a safer, more fun, and environmentally friendly way. 14.50 – Behind Canggu Square next to Skutis Corporation showroom. Start skutis riding practice (guests will be trained on how to ride skutis safely, perform slalom, emergency stops etc). Final safety instructions for the upcoming tour. 15.30 – Behind Canggu Square next to Skutis Corporation showroom. 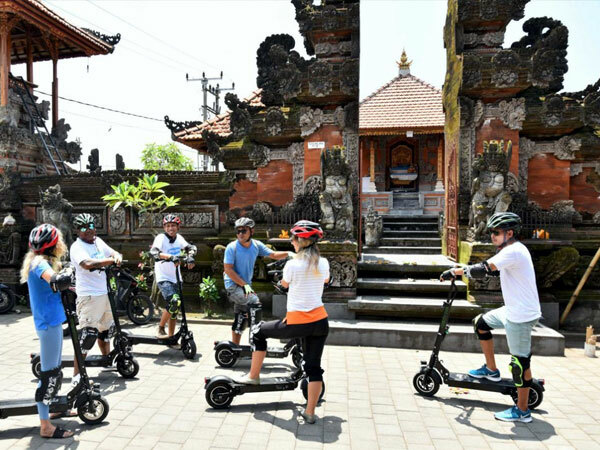 Finish the practice session and start the tour to the first stop at Pura Dalem Perancak. 16.15 – Arrive at Waroeng Geulis for local snacks(vegetarian/vegan) and beverages. 16.50 – Continue the trip to the next stop at rice fields and Empela river (with waterfall). 17.00 – Arrive at the rice fields and river (introduction about the cremation ceremony of local villagers and it's relation with the river). 17.45 – Heading to the last spot at LV8.